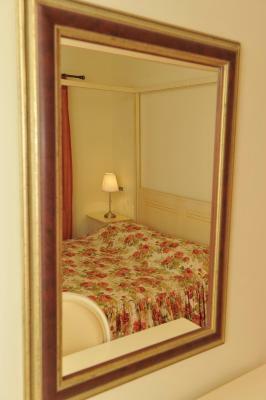 Lock in a great price for Gaia Traditional Rooms – rated 8.2 by recent guests! The bathroom was very roomy with a proper walk in shower with glass sliding door - unusual for a Greek apartment and very comfortable. We were next to a shared terrace (two other rooms but both were empty at the time - had they been inhabited it would still have been fine), overlooking the village of Hydra, one of the prettiest places we've been to. It was idyllically quiet with only the click of the mules' hooves clopping down the lanes and the sound of chickens. When (I hope) we go back to Hydra we will certainly try to book Gaia again. Very close to the port, there are some stairs but it is manageable. Quiet at night. Tο κατάλυμα ήταν πεντακάθαρο,η ιδιοκτήτρια ήρθε αμέσως όταν ειδοποίησα ο,τι έφτασα. Πάρα πολύ ωραία η θέα από το δωμάτιο και το προαύλιο χώρο. Ευγενικο προσωπικο, καθημερινη καθαριοτητα δωματιου, καλη τοποθεσια, προσεγμενοι χωροι του καταλυμματος, air condition. Όλα ήταν εξαιρετικά! Πολύ καλή καθαριότητα, πόλη ήσυχο σημείο , με ωραία θέα! Πολύ καθαρό δωμάτιο, ωραία διακόσμηση, υπέροχη θέα, πολύ καλή τοποθεσία από θέμα ησυχίας. Αν υπήρχε η αναμενόμενη διακριτικότητα και η πλήρης ενημέρωση για την χρήση του δωματίου θα άγγιζε την τελειότητα. Μας άρεσε η θέα και ότι το δωμάτιο ήταν καινούριο, παραδοσιακό και σε ήσυχο σημείο. Η υπεύθυνη του ξενοδοχείου ήταν πολύ εξυπηρετική και ευγενική. Είχαμε κλείσει μέσω του booking τρίκλινο, γιατί δε βρίσκαμε δίκλινο. Εκείνη μας έβαλε σε δίκλινο όπως της ζητήσαμε και μας πήρε τα αντίστοιχα χρήματα για το συγκεκριμένο δωμάτιο (60 ευρώ λιγότερα από αυτά που νομίζαμε αρχικά). Την ευχαριστούμε πολύ! :) Το δωμάτιο επίσης ήταν πολύ καθαρό και η θέα από το δωμάτιο πανέμορφη! Built according to the traditional architecture, Gaia Traditional Rooms are centrally located in Hydra Town, just 500 feet from the port and a short walk from restaurants and bars. 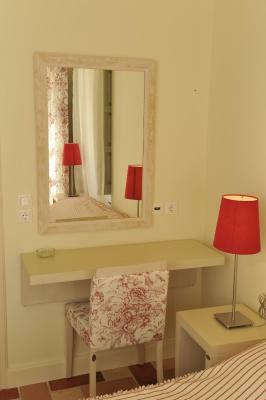 It offers elegantly decorated rooms with free Wi-Fi and views over the scenic town. 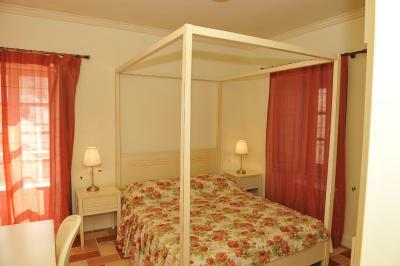 All rooms are fitted with colorful tiled floors, earthy colors and well-chosen furnishings. Each unit is equipped with air conditioning, a flat-screen TV and a fridge. The modern bathroom is stocked with free toiletries. Some units open out to a common terrace. 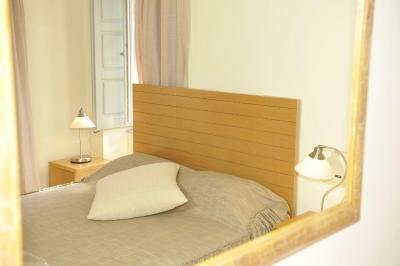 Gaia Traditional Rooms lie within 2,650 feet from Spilia Beach and within 1.2 mi from the pebbled Vlychos Beach. The Historical Archives Museum of Hydra is 0.9 mi away. 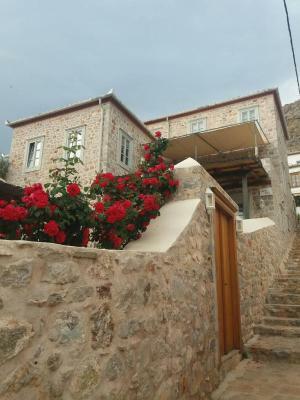 뀐 Located in the top-rated area in Hydra, this property has an excellent location score of 8.7! 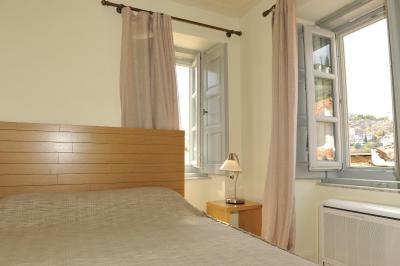 When would you like to stay at Gaia Traditional Rooms? 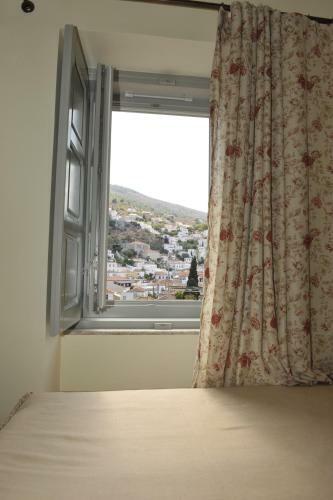 Enjoying views over the scenic Hydra Town, this air-conditioned room is fitted with colorful tiled floors and earthy tones. It features a flat-screen TV, a fridge and free Wi-Fi. The modern bathroom is stocked with free toiletries. Some units open out to a common terrace. 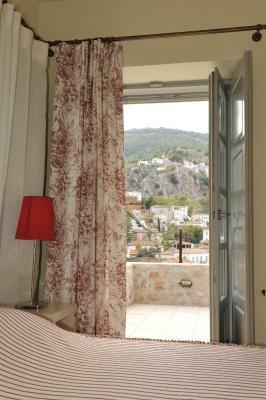 Opening to a common terrace with views over the scenic Hydra Town, this air-conditioned room is fitted with colorful tiled floors and earthy tones. It features a flat-screen TV, a fridge and free Wi-Fi. The modern bathroom is stocked with free toiletries. Some units have a spa bath. 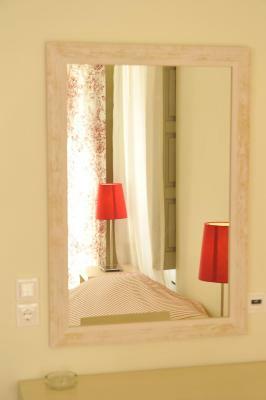 House Rules Gaia Traditional Rooms takes special requests – add in the next step! Gaia Traditional Rooms accepts these cards and reserves the right to temporarily hold an amount prior to arrival. We were asked to pay with cash, even though the reservation stated that credit/debit cards were supported. Noice from the refrigerator, lack of utensils, we were asked to pay cash.